David is an enthusiastic educator and presenter with an engagingly informal and relaxed personality. 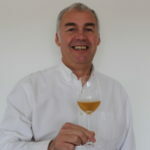 David works across North East England and North Yorkshire and has a wide range of experience in the fields of consumer education, trade training, corporate and private events and WSET. Bordeaux, Sherry, Food and Wine Matching, France, Tasting technique, WSET Levels 1 to 3, Making learning about wine fun.